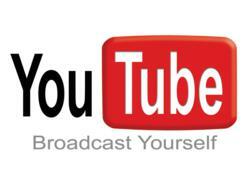 Patron Technology is pleased to announce the launch of its own YouTube channel located at http://www.patrontechnology.tv. The new channel includes video testimonials from arts institution executives around the country who are successfully using PatronManager CRM, the company’s world-class, web-based system that features full box office functionality combined with a complete customer relationship management (CRM) system, built on salesforce.com. In addition to these and other testimonials, Patron Technnology’s YouTube channel features an introduction to PatronManager CRM by company CEO Eugene Carr as well as excerpts from several of his network and mainstream broadcast interviews. In other videos, Sales Manager Lily Traub provides insights into PatronManager CRM’s ticketing, fundraising, and reporting functions. Click here to watch Patron Technology’s YouTube channel and stay tuned for more new videos! About Patron Technology: Patron Technology strives to revolutionize the arts industry by offering world-class customer relationship management (CRM) and e-mail marketing technology at a price that every organization can afford (http://www.patrontechnology.com). Founded in 2001 by Eugene Carr, the New York City-based company is the leader in e-marketing technology for arts and non-profit organizations. The company’s PatronMail e-mail service is used by over 1,800 arts and cultural clients in all 50 states and eight countries overseas. Patron Technology is dedicated to educating the non-profit community about e- marketing. In the spring of 2011, Eugene Carr (CEO) and Michelle Paul (Product Manager) co-authored and published the book Breaking the Fifth Wall: Rethinking Arts Marketing for the 21st Century (http://www.thefifthwall.com). In addition, the company presents a regular schedule of live e-marketing seminars across the country, monthly e-mail newsletters, blogs, and live educational webinars. About PatronManager CRM: PatronManager CRM, launched in 2010, was developed in partnership with salesforce.com and the Salesforce Foundation. PatronManager is a 100 percent cloud-based system that integrates box office services, fundraising, e-mail marketing, and staff collaboration, enabling organizations to put all their vital customer information in one place, accessible by the entire staff. With PatronManager CRM, organizations can sell more tickets, target their marketing and fundraising efforts more effectively, provide better customer service at the box office and beyond, and make their organization more efficient. About Eugene Carr: Eugene Carr, founder and CEO of Patron Technology, has been an innovator in the area of e-marketing for arts organizations for 15 years. In 1996, AOL invested in his first Internet company, CultureFinder.com, which became an award-winning nationwide arts calendar and online ticketing service. In 2001, Gene founded Patron Technology, and its PatronMail is used by more than 1,800 institutions in all 50 states and eight foreign countries. PatronManager CRM, launched in June 2010, is an all-in-one web-based system built in partnership with salesforce.com and the Salesforce Foundation that combines ticketing, subscriptions, fundraising, e-mail marketing, and staff collaboration. Gene’s latest book Breaking the Fifth Wall: Rethinking Arts Marketing for the 21st Century (http://www.thefifthwall.com) was published in April 2011. About Lily Traub: Lily Traub, Sales Manager at Patron Technology, has given seminars at national conferences around the U.S., including the ArtsReach National Arts Marketing Conference, Next Audiences Summit, and the Theatre Communications Group (TCG) National Conference. Prior to joining Patron Technology, Lily served as the Assistant Box Office Manager of the Center for the Arts at her alma mater, Wesleyan University, and she also worked as a subscription manager at the Roundabout Theatre Company in New York City.